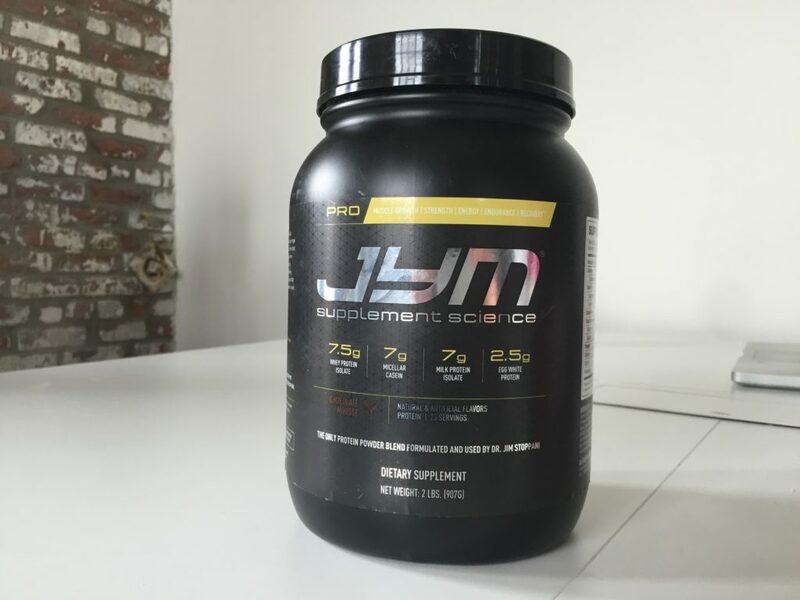 Home » Pro Jym Protein Powder Blend Review — Does the Science Hold Up? 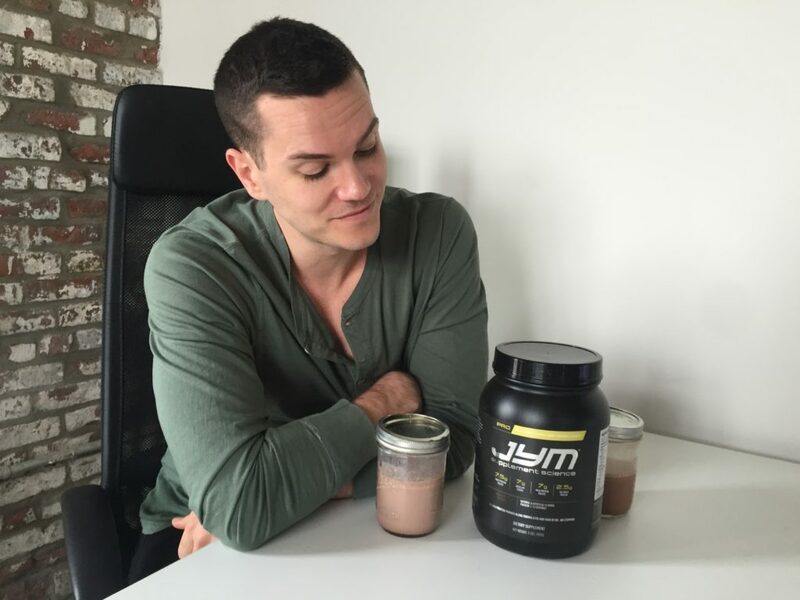 Pro Jym Protein Powder Blend Review — Does the Science Hold Up? Pro Jym is the brainchild of Dr. Jim Stoppani, a man with a PhD in exercise physiology and a long tenure in fitness media. He was the senior science editor at Muscle & Fitness and Flex for over ten years and he co-wrote the New York Times bestseller LL Cool J’s Platinum 360 Diet and Lifestyle. In 2013, he launched a supplement line called Jym, which is well-known for its pre-workouts but also includes multivitamins, fat loss pills, and testosterone support. I decided to try the flagship protein powder: Pro Jym. One scoop provides 150 calories and 24 grams of protein, plus 6 grams of carbs (2 grams of fiber and 1 gram of sugar) and 4 grams of fat (0.5 grams of which are saturated). So it’s not crazy low in calories, fat, or carbs, Dr. Stoppani has said that this is because it’s intended more as a versatile, slow-digesting “any time shake” than a strict, fast-digesting, nothing-but-protein shake. Pro Jym offers a blend of fast, moderate, and slow digesting proteins for a versatile shake that can be taken at any time. As far as micronutrients go, it’s surprisingly high in calcium at 32 percent of the RDI per serving (most protein powders are closer to 15 percent). It’s about average for sodium with 8 percent of the RDI (200mg) and pretty low in cholesterol with 5 percent of the RDI (15mg). There’s a lot to talk about with the ingredients. First of all, this is a protein blend made from micellar casein, milk protein isolate, whey protein isolate, and egg white. Milk protein is an 80/20 mix of casein and whey, and the final breakdown of protein is 50 percent whey isolate, 40 percent casein and 10 percent egg white — a breakdown that’s provided on the tub itself in a nice display of transparency. After that, there’s Clean Cream™, a vegan blend of powdered fats that’s intended to give a creamy taste without any, well, cream. It’s made mostly from sundlower oil, acacia gum, brown rice syrup, natural flavors, silicon dioxide, sunflower lecithin, and D alpha tocopherols — that’s just a fancy word for Vitamin E. I have the Chocolate Mousse, Tahitian Vanilla, and Banana Cream flavors, all of which contain Clean Cream. Then there’s natural and artificial flavors; a gum blend of cellulose, xanthan, and carageenan (those are thickeners and stabilizers); salt; sunflower lecithin for mixability; the artificial sweeteners sucralose and acesulfame potassium; and silicon dioxide, which is usually used as an anti-caking agent but it can also help to carry flavor. It’s cool that this is a blend of whey, casein, and egg; it means the whey isolate absorbs quickly and the egg and casein absorb slowly over a few hours, so it’s a good “anytime” shake and it’s less likely to cause an upset stomach. That said, Pro Jym doesn’t contain any digestive enzymes, which is rare today. Dr. Stoppani addresses this directly on his site, basically saying that he thinks studies on supplementary enzymes are flawed and it’s not worth including them. He also says that digestive upset is less likely with a blend and that his protein contains under a gram of lactose, so it shouldn’t cause issues. 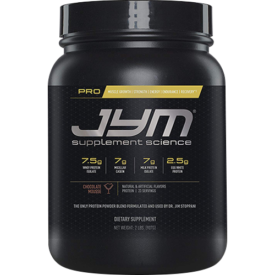 But it does contain lactose, so if you’re extremely sensitive to it, you might have some trouble with Pro Jym. It’s around two pounds for $33, or $1.43 per serving. Four-pound tubs are roughly 56 dollars for 46 servings, or $1.22 per serving. 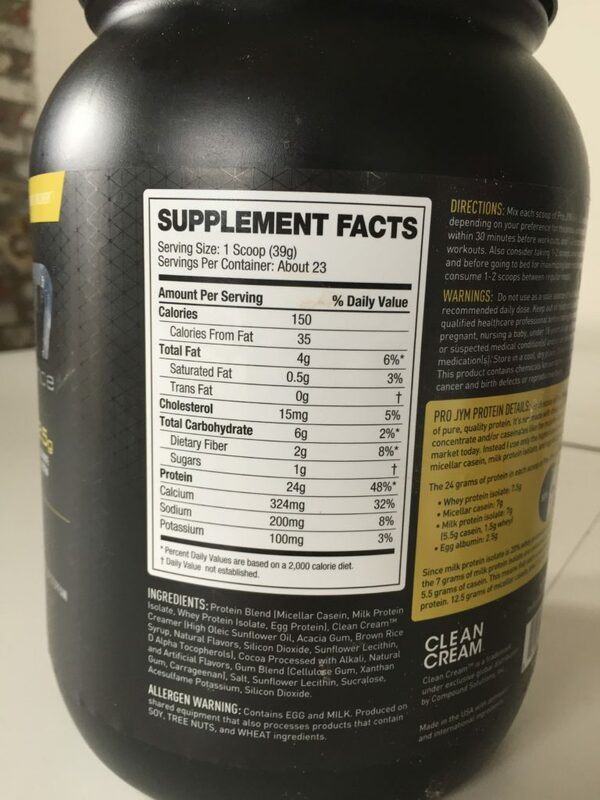 With four-pound tubs, you’re looking at about 5.1 cents per gram of protein. 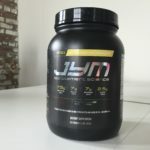 Jym has a reputation as expensive, but it’s honestly not that expensive. Sure, most common protein powders are between 3.5 and 4.5 cents per gram of protein, but 5.1 isn’t a giant difference. Jym isn’t as cheap as brands like Optimum Nutrition and Musclepharm, but it’s cheaper than Dymatize, Prettyfit, Quest, Ghost, and most of the more “boutique” brands like Xwerks. So, Pro Jym is pricier than normal, but it’s far from outrageous. The Chocolate Mousse flavor mixed great! That’s particularly notable since this product uses sunflower lecithin instead of soy lecithin, and usually that affects mixability. I was very excited to try Pro Jym, as I’ve heard great things about the taste and my curiosity was piqued by the “Clean Cream” in the ingredients list. I found that while it was tasty, it tasted a little like Space Food — I could taste the artificial sweetener. It’s better than some of its competitors like Quest protein powder, which also contains a lot of casein and tastes dreadful, but I found it wasn’t as tasty and milkshakey as your average chocolate from Optimum Nutrition. Pro Jym is slightly pricier than average, but you’re getting a very high quality protein that can be consumed at any time of the day and should affect satiety (and prolong muscle protein synthesis) better than your average brand. I wasn’t that impressed by the taste, but I was really impressed by the science.